Are you new to online marketing and trying to understand SEO, websites, blogs, and social media marketing? Well, perhaps the last thing you want to think or learn about is hosting your own website. It’s not as easy as selecting a website name (if that was easy at all). With hundreds of web hosting companies in the market, you should consider your options with a reseller hosting service provider. First off, how does one even know where to find a reseller? Well, if you don’t know much about websites, you may have had a professional build you one. If so, reach out to them if they haven’t marketed their service to you already. A web designer’s bread and butter are not always via designing websites. They understand the lingo and what it takes to have a site up and the services that make your site stand out. Therefore, they may invest the time and money it takes to resell the services they believe to be best for their customers. They then become a one-stop-shop for your online site needs. So how can your designer offer you such a great deal on these hosting services? Well, the larger web hosting companies will offer a great deal through a reseller plan. This account is set up for an individual or company to pay a flat fee each month. This account can then “house” multiple accounts under it and manage each. Your reseller-hosting provider will charge you a small monthly fee. Checkout out our unique VIP Reseller Program. Just from understanding you are charged a small monthly fee, you do realize this may be an upcharge for you. Sure, you can go directly to a web host provider and manage your plan; however, with so many others signing up with a reseller, there surely must be a benefit, right? As mentioned, there are hundreds of web host providers, each having their pro’s and con’s. Your web designer may use multiple ones, but they do know which one is best for your business and its needs. Therefore, you can focus on running your business rather than researching some technical aspects of a hosting provider. It’s true you may have an upcharge, but you still could be receiving discounted services. For one, this may be a packaged deal, of which your website maintenance may be cheaper. On the other aspect, think of all that you may get now, and not use, but may have a need for in the future. You’re still set on one small monthly price while your reseller-hosting provider eats up the additional costs. Don’t feel bad – they have other customers they are billing too. Therefore, you have the convenience of having a discounted rate for a higher speed, storage, and bandwidth. Your reseller is someone that not only knows your website, but your business needs as well. They‘ve worked with you for a while, and you have a personal connection. Therefore, when something goes wrong, you don’t have to call the web host provider directly – let your managed provider do so and work out all the bugs. From software installation issues to upgrades, you don’t need to worry about this at all. Now, as in life, there are always some downsides to this process. Using a reseller does have its cons as well. Just because they are a reseller, it does not mean they are honorable. Your research could have led you to a reseller with fake reviews. They could be charging you entirely too much than the services are worth. The reseller also may be signed up with a provider that offers terrible service and support. Your website could be down for hours or days even. What if the company is doing bad and goes out of business? Do you know who your direct web host actually is? These are things to consider. Ensure you read the fine print before agreeing to the contract. If you come into conflict with the reseller, what if they have a buyout clause when you want to get your files. How do you move your site? This takes up your time, and you now may need to contact the parent company for assistance. When you consider that your reseller-hosting provider may be an individual or other small firm, realistically, they may not be there for you 24/7 like the parent hosting company may. Therefore, if something happens in the middle of the night, or they are out on vacation, you may be on your own. 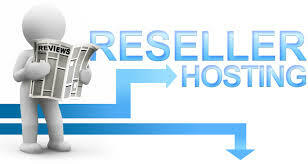 As you can see, there are pros and cons of using a reseller hosting service provider. The information provided can give you a head start in deciding what is best for your business as well as knowing what to look out for.